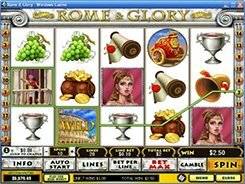 Five-reel thirty-line Sparta video slot offers you to get engrossed in Ancient Greek times. 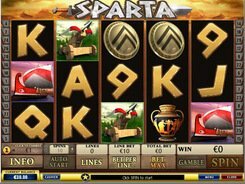 In this slot, you will encounter the symbols of a Spartan warrior, sword, shield, warship, vase and other themed icons. The maximum bet accepted per spin is as high as $1500. 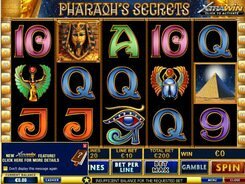 The first-largest jackpot makes up 4000 coins paid for five matching Warships on a payline. The second-largest prize of 2000 coins is awarded for five Ballista symbols. The Group of Spartans symbol acts as a scatter. 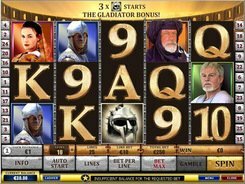 Three or more scatters open up the free games round with 15 free spins and double payouts. Any amount of money earned in the main round can be doubled if you select an optional Gamble Feature. The feature mini-game displays five cards, with one of them opened by the dealer. Pick one out of four facedown cards. If it turns out higher than the dealer’s one, your winnings get doubled or else you lose your cash prize. PLAY FOR REAL MONEY!